Home » Monthly Sales » Nifty November Sales! 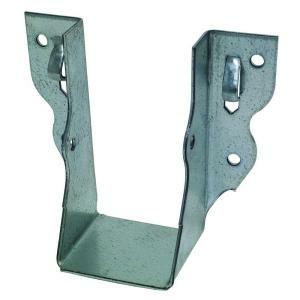 Throughout November, take 50% off all sizes of joist hangers with orange tags. Sale does not include shelf brackets, other types of hardware, select specialty items, or items with missing or damaged price tags. Throughout November, take 50% off window treatments with orange price tags, including interior shutters, blinds, and cornices. Sale does not include windows, exterior shutters, security bars, items with blue tags, select specialty items, items from our consignment partners or items with missing or damaged tags. Throughout November, take half of the orange tags on Air Conditioners, Humidifiers, Dehumidifiers, and modern fireplace tools, fireplace screens, and register covers. 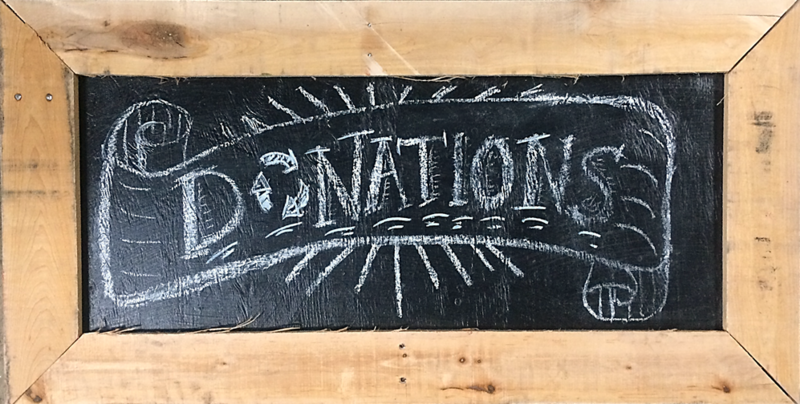 Sale does not include vintage items with blue tags, select specialty items, mantels, insulation, ductwork, radiators, plumbing or electrical parts, items from our consignment partners, or items with missing or damaged price tags. 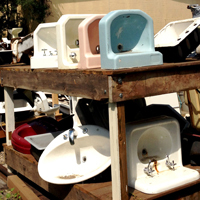 Throughout November, take 25% off the marked price on many of the sinks and tubs outside in our courtyard. Sale does not include clawfoot tubs, select specialty items, sinks and tubs inside our warehouse, items from our consignment partners, or items with missing or damaged price tags. Sanitary Molding / Vinyl Cove Base just 5 cents a foot! Throughout November, save 50% off our regular 10-cent price for sanitary molding. 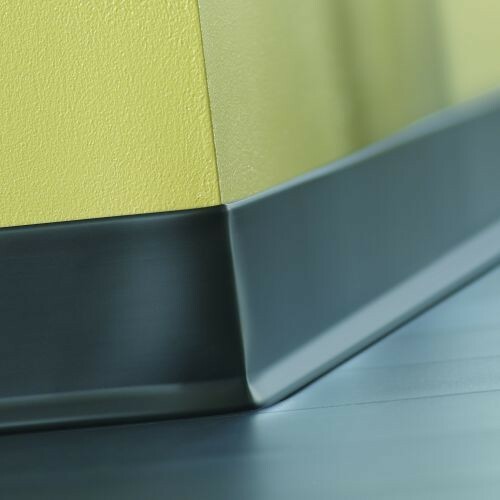 Great for basements, small businesses, and nonprofit offices! Sale does not include wood, composite, or other types of trim; vinyl stair treads; tile; or items with missing or damaged price tags. Salvaged Carpet Tile just 25 cents each! While Supplies Last! Select styles of heavy-duty carpet tile are just a quarter each. 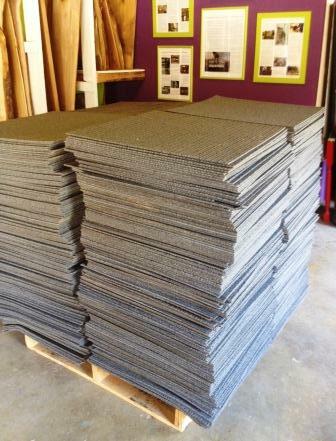 We have several pallets of these gently-used 18″ carpet squares, but visit soon because they’ll go fast!